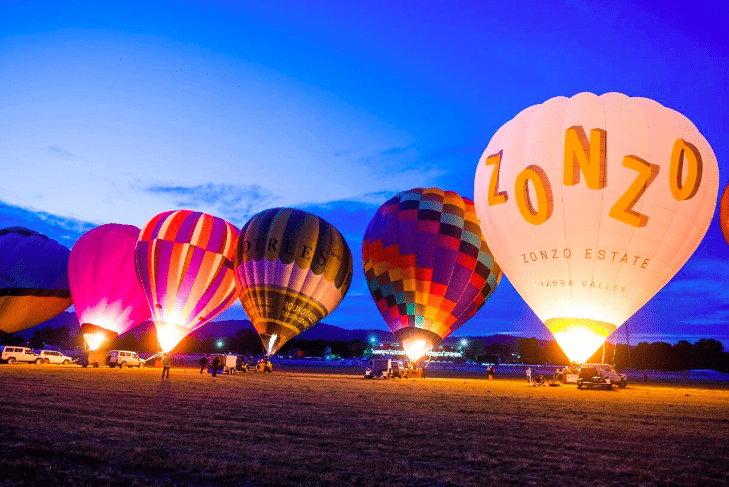 Explore the Yarra Valley with Global Ballooning Australia! 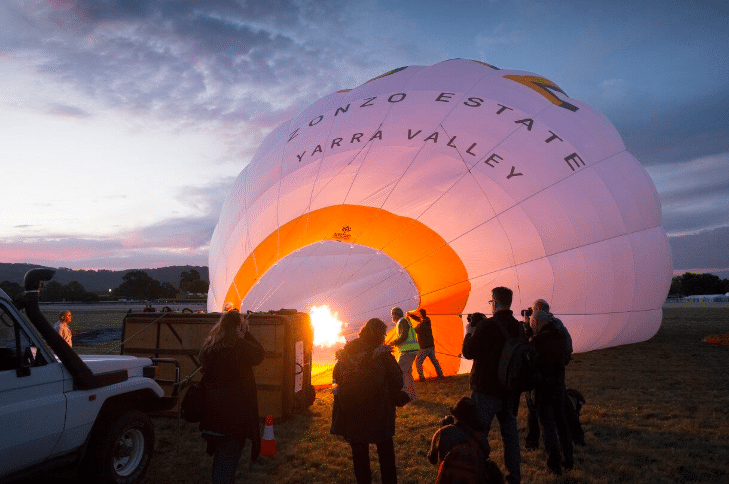 - Australian Wine Tour Co.
Home>Blog>Aust Wine Tour Co news>Explore the Yarra Valley with Global Ballooning Australia! 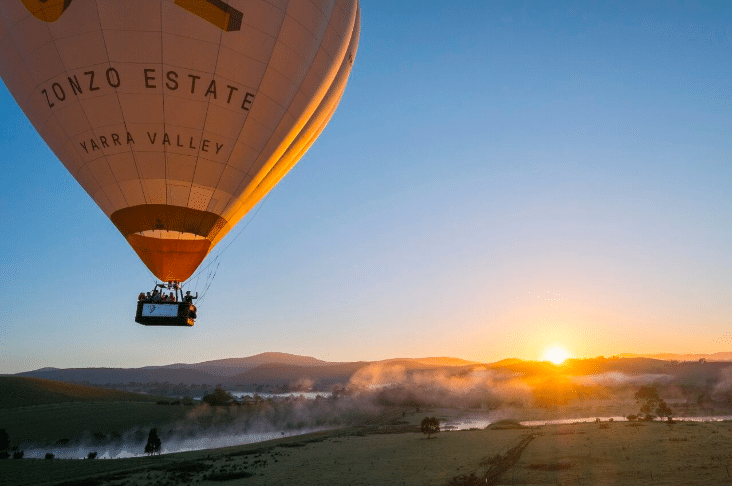 Our Yarra Valley Balloon Flight and Winery Tour Package is the absolute best of both worlds- combine a flight and wine tour in a day of truly sublime experiences. A mere 50 minutes away from the bustling CBD of Melbourne, the beautiful, serene and world-famous Yarra-Valley awaits! Steeped in rich history, even richer soil and some of the most celebrated wine varieties in the world, the Yarra Valley is a sublime place to fly over, and eventually end up having a glass of wine in! These breathtaking views are truly awe-inspiring, when soaring at 3000 feet- leaving you to enjoy a sense of timelessness and adventure, combined with the comfort of knowing that you are in safe, experienced hands. Global Ballooning Australia passengers receive a complimentary souvenir pack, which include special offers and discounts at various attractions around Victoria. Let the cool mid-morning breeze usher you in a hot air balloon along corridors of elegant grape vines and over the stunning Yarra River. As the seasons change so do the views of the mountains and the falling leaves of all the orchard groves and valley trees. Australian Wine Tour Company guide/driver will collect you from Yering Station Wines to commence the wine tour portion of the tour. Indulge in a guided tasting session at Balgownie Estate tasting table. Make your selection of wine for lunch and take your complimentary glass of wine to the restaurant with its magnificent vineyard views. Lunch includes a main meal, a glass of Balgownie Estate wine & tea or coffee. The old hay shed situated at the top of the hill, overlooks stunning views, has been converted into a charming rustic Cellar Door, oozing with character. The Cellar Door proudly showcases antique copper tools used by pioneer winemakers over a century ago. A fantastic environment to enjoy superb wines made with traditional winemaking techniques. French Champagne company Moet & Chandon’s Australian production house Domain Chandon is the perfect way to finish the day with a guided tour through the winery that shows how the wine is made followed by a relaxing glass of Australia’s best bubbly and a view that will leave you in awe. Spectacular, to say the least. Sound like something you might like? Do you have a truly special occasion coming up? Get in touch with the beautiful team at Australian Wine Tour Company today and ask about your tour options!